When one of your units hits the enemy player, draw the top card of their deck and reduce its cost by 2. 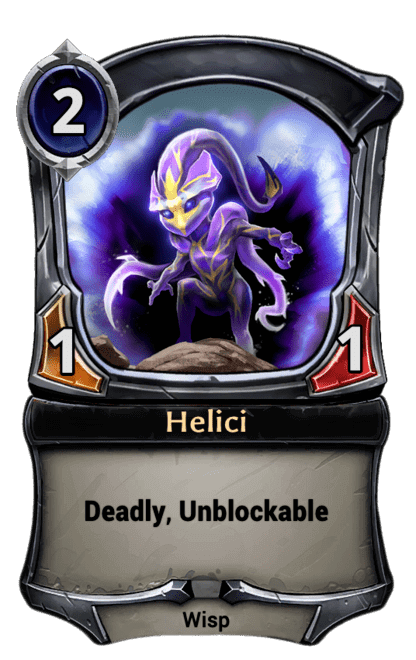 Summon: Play two 1/1 Helici with Deadly and Unblockable. If I have this on board and my opponent has a face aegis, and I hit face with 2 minions, do I draw no cards? 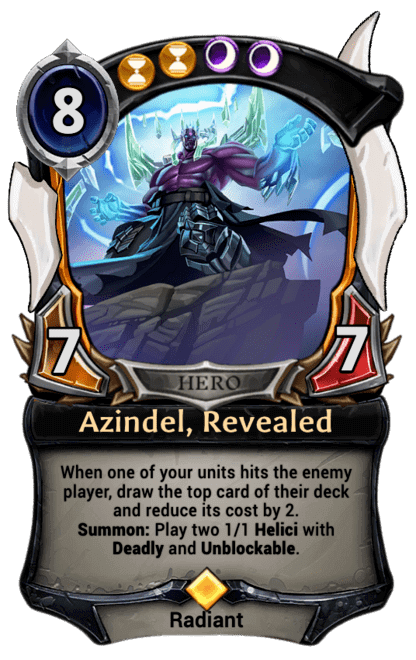 Or 1 card in that the aegis only protects from 1 proc? FYI - two on your board doubles the number of drops you receive, but does not lower the power cost further.